To prepare the truffles, finely chop the chocolate (if not using chocolate pellets) and place into a heat-proof bowl. Set aside. Place the coconut milk in a small saucepan over medium heat and bring to a gentle boil, stirring occasionally to prevent the milk from scorching. Pour the milk over the chocolate, making sure that it covers the chocolate—you may need to shake the bowl a bit to distribute the milk. Add the liqueur and allow the chocolate mixture to sit for a few minutes; then, stir until smooth. *Note: The better the chocolate, the better the truffles. For the best results, use a bittersweet or semisweet chocolate. 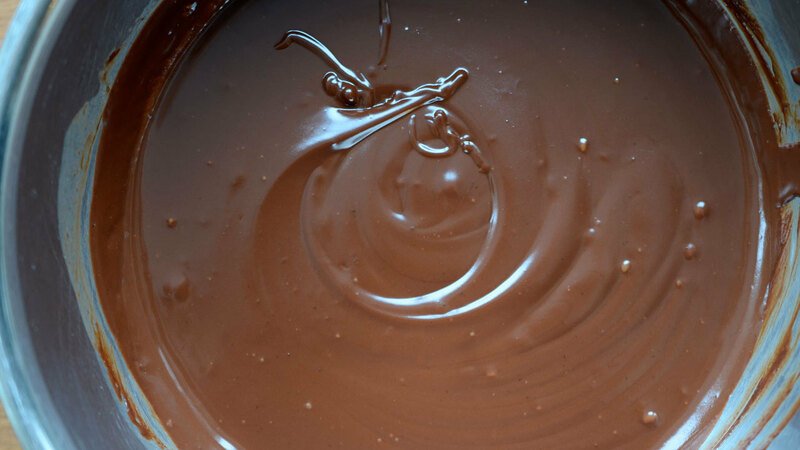 We have had great results using both a 62% and a 72% (percentage of cocoa) chocolate. **Note: Any liqueur, such as Grand Marnier, Frangelico or triple sec would work. Once the chocolate has melted, let cool slightly before adding the salt. Be sure to use a good quality sea salt. While the salt is optional, it does add a nice contrast to the sweet chocolate. 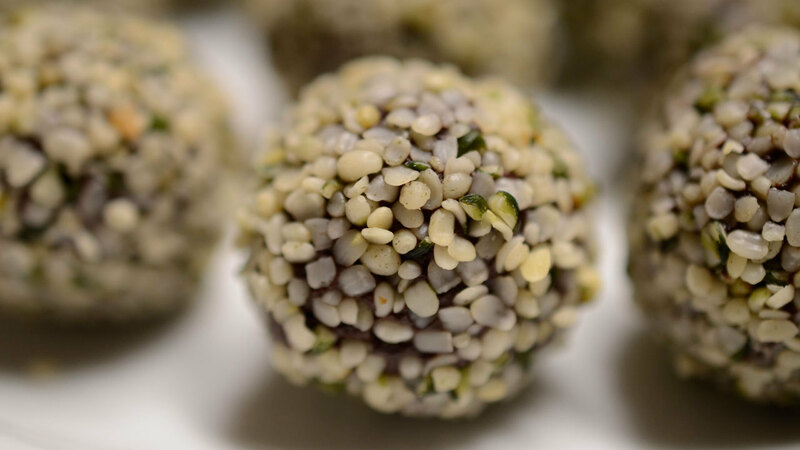 Because we use a mini ice cream scoop to make these truffles, we don’t need to pour the mixture out onto a tray; however, if you don’t have a small enough scoop, simply pour the truffle mixture onto a flat tray before it sets. At this point, place the mixture into the refrigerator for approximately 1 hour, or until the mixture is firm but still a tiny bit pliable. Place the hemp seeds in a plate or shallow soup bowl. To roll the truffles, use a 1 teaspoon size scoop (sometimes labelled a mini ice cream scoop). This method works really well as it prevents you from handling the truffles very much. Alternatively, you can use a small spoon or melon baller. Drag the spoon along the tray to make a small chocolate curl. Then roll into a small ball. Transfer the balls to a parchment lined tray as you work. It’s important to work fast and keep your hands as cold as possible; otherwise, the heat from your hands will melt the chocolate as you roll the truffles. Once done, roll the truffles in any coating you prefer. Feel free to experiment here. For example, finely chopped pistachios or other nuts work nicely as well. The truffles can be made several hours ahead and refrigerated. Serve them close to room temperature, so they melt nicely in your mouth. To make the truffles up to 2 weeks ahead, scoop balls of the chocolate mixture into rough rounds. Refrigerate truffles for 10 minutes. Then, using your hands—dusted with cocoa powder—dip each truffle in cocoa powder to coat. Quickly shape each truffle into a rough round. 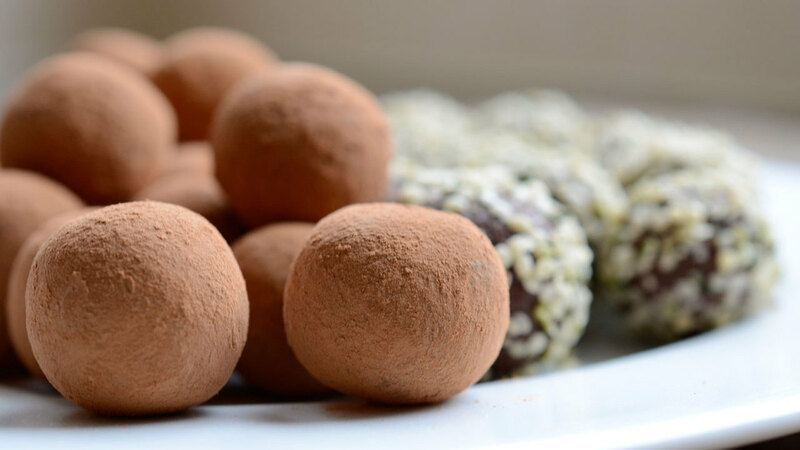 Refrigerate truffles in an airtight container until ready to serve. Before serving, reshape the truffles into rounds, and roll each truffle in cocoa powder, if desired. You said any type of liqueur could be used. Would a simple sherry be fine?? Yes indeed. Add a small amount of sherry to a small amount of ganache and that is how you will determine if you like the flavor. Can the liqueur be omitted or can it be substituted with an essential oil for flavor?